Sexual harassment has been a decades old problem in our workplaces and it is still a growing issue. Sexual harassment can be verbal or physical conduct that demeans, puts down, humiliates, or shows hostility or aversion toward an individual. Sexual harassment has the purpose of creating an intimidating, hostile or offensive work environment. Sexual harassment constitutes discrimination and is illegal under federal and state laws. Sexual harassment is defined, as in the Equal Employment Opportunity Commission Guidelines, as unwelcome sexual advances or requests for sexual favors and other verbal or physical conduct of a sexual nature. Sexual harassment can be made explicitly or implicitly. Employers cannot afford to ignore the culturally based experiences that their employees bring to their work lives. Sexual harassment is often misunderstood and is the subject of considerable debate. Ethical leadership is a relational concept in the sense that it is constructed in and through social interactions with followers. Furthermore, being an ethical leader is about being both a moral person as well as a moral manager. The ethical implications of sexual harassment are concerned with questions of what is acceptable and unacceptable within the workplace from the perspective of both women and men. As leadership always entails a relationship between leaders and followers, it is important to focus on the leader as a moral manager (Van den Akker, 2009). Leadership is an essential feature of the ethical culture of an organization. Two forms of actionable sexual harassment are quid pro quo harassment and hostile environment harassment. Quid pro quo harassment refers to threats or promises of job-related consequences resulting from the withholding or giving of sexual favors. The demands for such favors may be explicit or implicit, but the job benefits to be gained or lost must be tangible like a promotion, job retention or loss, or desired assignments (Zimbroff, 2007). Even a single act of quid pro quo harassment is actionable. The hostile environment type of sexual harassment, by contrast, occurs when a work environment becomes so intimidating, hostile, or offensive due to overt sexual language or physical conduct (Zimbroff, 2007). For an employee to prevail in a hostile work environment claim, they must demonstrate that the conduct complained of was severe enough to alter the condition of employment and create an abusive working environment. Adverse sexual harassment such as discrimination and sexual favoritism can demoralize otherwise hardworking employees. Moral managers consciously attempt to foster their followers‘ moral behavior by setting clear moral standards and expectations and creating ground rules for moral conduct (Van den Akker, 2009). As a leader, you must take every accusation as a serious complaint and take the proper steps to assure the complaint is handled properly. Harassment is unwanted conduct that occurs with the purpose or effect of violating the dignity of an individual or creates an intimidating, hostile, degrading, humiliating or offensive environment. It can be carried out by an individual or group of individuals. To be illegal, sexual harassment must be unwelcome. Unwelcome means unwanted. For this reason, it is important to communicate, verbally or in writing, to the harasser that the conduct makes you uncomfortable and that you want it to stop. Leaders’ ethical behaviors such as clarifying roles, sharing power, and acting fairly signal that these leaders can be seen as ideal representatives of the group, and that in turn implies they can be trusted. Furthermore, such trusted leaders are perceived as more effective (Kalshoven & Den Hartog, 2009). I had a situation at work, where a gay female, reported to a male supervisor. The male supervisor made some sexual comments to another employee that was overheard by the gay female employee. Although the comments were not geared at the female employee, the comments made her uncomfortable and for that reason she filed a harassment claim with the company. The allegations were researched, witnesses were called. The male employee was interviewed, and I was interviewed. It was brought to human resources attention and the result was that the male employee’s comments were inappropriate but did not constitute sexual harassment. The harassment was unwanted and once the female employee filed the complaint the alleged harassment stopped. It’s left a difficult work environment as the male supervisor tends to do the work himself instead of assigning the female work as he’s afraid she’ll say its harassment or retaliation. The major element in defining a behavior as sexually harassing is that the recipient finds the behavior unwelcome. Cultural factors would clearly influence the degree of welcome response with which a recipient would view or respond to a sexually-tinged comment or action. 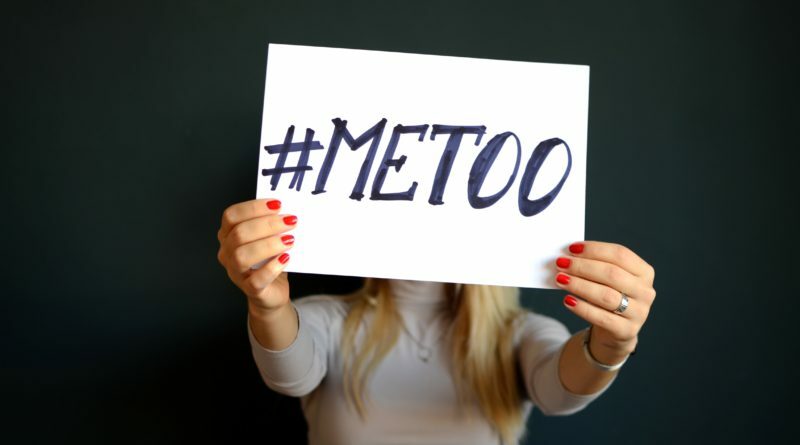 Several variables besides gender might prove influential in shaping perceptions of sexual harassment, particularly regarding what constitutes the perception of a hostile environment. Gender differences in perceptions of sexual harassment, women identifying harassment to a greater degree than men (Zimbroff, 2007). Cultural differences may well alter perceptions of sexual harassment particularly in unclear situations. Cultural differences will influence not only what kinds and intensities of conduct will be found unwelcome, but also the distinct means by which alleged victims of such conduct will demonstrate its unwelcomeness. Even when sexual harassment is perceived as such, it may not be reported or may not be reported promptly. While gender differences in the perception of sexual harassment have been investigated extensively, cultural differences have been far more sparsely researched (ZImbroff, 2007). Culture is to society what memory is to individuals, culture includes traditions that tell what has worked in the past (Zimbroff, 2007). Employees spend fifty percent of their waking lives in the workplace, they deserve a workplace that is safe, supportive, stable, and free of discrimination, humiliation, and gross discomfort. I didn’t realize it was offensive is no longer acceptable in today’s world. What is offensive varies from culture to culture. A cross-cultural world is upon us, and awareness of its mandates can not be avoided. Harassment does not have to be intentional. What is offensive is in the eye of the beholder. Harassment does not have to be directed at an individual. Free speech rights do not apply in the workplace. As a leader encourage your subordinates to say something right away, tell the harasser, tell your boss, tell your supervisor’s boss if your supervisor is the problem and get help from human resources or anyone else up the chain of command. Early reporting and intervention have proven to be the most effective method of resolving actual or perceived incidents of sexual harassment. Organizational culture is known as a system of shared beliefs, values, and assumptions that govern how others behave in a workplace. These shared values have a strong influence on the people in the organization and dictate how they dress, act, and complete their jobs. A company’s culture is its basic personality, the essence of how its people work and interact. Culture is the self-sustaining pattern of behavior, which determines how things are achieved. Workplace culture is composed of instinctive, repetitive habits and emotional responses, which cannot be replicated. They are also constantly evolving and self-renewing because what people think, feel, and believe is reflected and shaped by the way they conduct their business. Formal efforts to change a culture rarely manage to get to the heart of what motivates people. It also is extremely difficult to completely root out the evil, including sexual harassment. Leader’s need to provide an environment free of harassment for employees and customers, educate employees about harassment and promptly investigate all complaints. As a leader you need to document complaints and investigations and take prompt corrective action if necessary. We are each responsible in creating a culture of fairness, equality, and safe reporting. If you witness sexual harassment, put yourself in that individual’s shoes and deeply consider how you would feel. We can reverse the tide if we lend an ear, offer to assist, report it ourselves, or no longer tolerate the behavior. Our actions can make a positive cultural difference. Moral leaders actively demonstrate ethical behavior and set the good example on both a professional and a private level. Followers learn what to do and what not to do by observing their leaders‘ behavior and are likely to imitate their leaders, whether the example set by the leader is good or bad. Ethical leaders positively influence follower’s moral behavior by facilitating communication about ethics and values. Trust is a key component of successful working relationships between leaders and followers. Ethical leaders’ fair and caring treatment, consistent behavior, and clear communication likely result in trustful relationships. Zimbroff, Jennifer. “Cultural differences in perceptions of and responses to sexual harassment.” Duke Journal of Gender Law & Policy, vol. 14, no. 2, 2007, p. 1311. Retrieved from: http://go.galegroup.com/ps/i.do?p=PPDS&sw=w&u=buenavista&v=2.1&it=r&id=GALE%7CA166350028&asid=1106d73550565c92fd94c02e4ac6f6c8. (Links to an external site. )Links to an external site. Kalshoven, K. and Den Hartog, D. Ethical Leader Behavior and Leader Effectiveness: The Role of Prototypicality and Trust. Retrieved from: http://www.regent.edu/acad/global/publications/ijls/new/vol5iss2/IJLS_vol5_iss1_kalshoven_ethical_leadership.pdf (Links (Links to an external site. )Links to an external site. Van den Akker, L., Heres, L., Lasthuizen, K., & Six, F. (2009). Ethical Leadership and Trust: It’s all about meeting expectations. Retrieved from: http://www.regent.edu/acad/global/publications/ijls/new/vol5iss2/IJLS_vol5_iss2_akker_ethical_leadership.pdf (Links (Links to an external site. )Links to an external site.